bx92Miyzm9HEFkaEhYzly8BCg8g ~Mommy's Moments~: February 24th is National Chili Day!! February 24th is National Chili Day!! After a day out in the cold weather, it’s nice to have something warm and filling for dinner. Chili sure fits the bill. 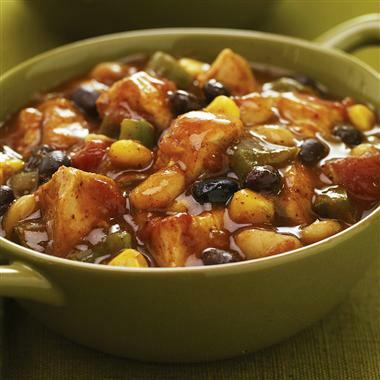 Since Feb. 24, is National Chili Day, plan on making a huge pot of chili. If you make a basic recipe to eat immediately, you can freeze the leftovers and add optional ingredients to the next serving to make it a little different. I know here in the Tennessee area we have finally hit Spring ~ I am hoping ;.) ~ but I like to eat Chili anytime! 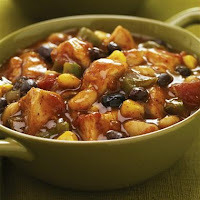 Here is one chili recipe for you to try out!! 1. Heat oil in large skillet on medium-high heat. Add chicken, bell pepper and onion; cook and stir 7 to 8 minutes or until lightly browned. 2. Heat small nonstick skillet on medium heat 2 minutes. Add chili powder, cumin and garlic; toast 30 seconds or until aromatic, stirring constantly. Add to chicken mixture. 3. Stir in remaining ingredients. Bring to boil. Reduce heat to low; simmer 20 minutes.